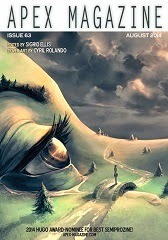 Even more great free fiction, including a few proudly pilfered from Regan Wolfrom's free fiction links at SF Signal. • At The Colored Lens: "Truth Banks" by Damien Krsteski. Speculative Fiction. "I picture the satellites containing the data of the Truth Banks, the supercomputers buried deep underground with backups and revision history, the top-secret security systems. If there’s one heist impossible to pull it’s this one, and yet the fifteen millisecond gap is right before me like a splinter in the holograms." "Rosa spied Mason marching downhill, the formerly pregnant swell of his beer belly dwindled to a saggy bump. Morning light glinted along the barrel of the shotgun in his hands. She tapped her fingers against the windowsill and calculated the days since electricity failed: twenty-three. The chill of autumn crept into her very bones as the house creaked and sang to itself. As far as she knew, beyond their hill the human race had ceased to be." Text and Audio. "Seventy-nine years later, in the fourth year of the plague, scientists tamed time. They didn’t conquer it; that was entirely beyond human comprehension. But they found a way to fold the days and months atop one another and allow windows, openings. Through one such window they viewed the future, all 22 trillion variations of it, and discovered the single timeline in which humanity survived. And they were able to isolate and determine the DNA of the person who rescued mankind." • At Strange Horizons: "Resurrection Points" by Usman T. Malik. Speculative Fiction. "And thus we practiced my first danse macabre. Sought out the nerve bundles, made them pop and sizzle, watched the cadaver spider its way across the table. With each discharge, the pain lessened, but soon my fingers began to go numb and Baba made me halt. Carefully he draped DeadBoy." Text and Audio. • Now Posted: Apex Magazine Issue 63 — August 2014. "Julia Kettan first knew her husband was dead when she looked out the window and saw a car emblazoned with the crest of the Bureau of Family Affairs pull up in the driveway. Her legs went weak, though whether from relief or fear she couldn’t tell. Robert hadn’t come home the previous evening. She’d phoned it in that morning to both the police and the Bureau, not wanting to risk a second major infraction under the Spousal Laws in case anything really had happened, despite being convinced that Robert had just drunk too much after work and decided to sleep at a friend’s." "Morning, and the frost was thick on ferns already yellow with the changing season. The sun broke from the horizon, thin light stirring the dying insects to crawl for one more day. I pushed the scratchy woolen blankets off my body and stood, shivering, from the bed I made in the meadow." "In the autumn of 2309 I crossed from one lonely star to another and took a tour to the sandbird tracks of Mirelle. The only other passengers were a married couple, and our guide was a priest in training. I was eighteen, and it was my first assassination." "Gen walked on the endless, oscillating sea of liquid metal hydrogen and tried, tried to keep her consciousness together. The knight who followed her into the atmosphere, swam through the outer sea of hydrogen with her, he was here too. His armor defied the pressure, his banner defied the heat, and his hands, deep within the boiling, rolling mass of Jupiter. He stood beside a tree that constantly remade itself as it burned and crumpled." • At Lakeside Circus:"Fixed" by Levi Jacobs. Science Fiction. • At Strange Horizons: "Note to the Caretaker" by Lisa Bellamy. Speculative Poem. 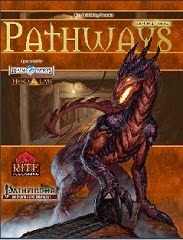 • At DriveThruRPG: Pathways #41 (PFRPG) by Rite Publishing. "Deep Dragon Template" Steve shows us what dragons canpotentionally lie deep in the Earth.Make a more powerful foe with the Deep Dragon Template. by Steve Russell. 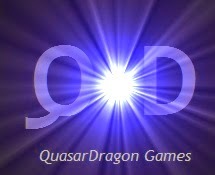 "Introduction to World Building" Explore how to make your own world! by Elton Robb.